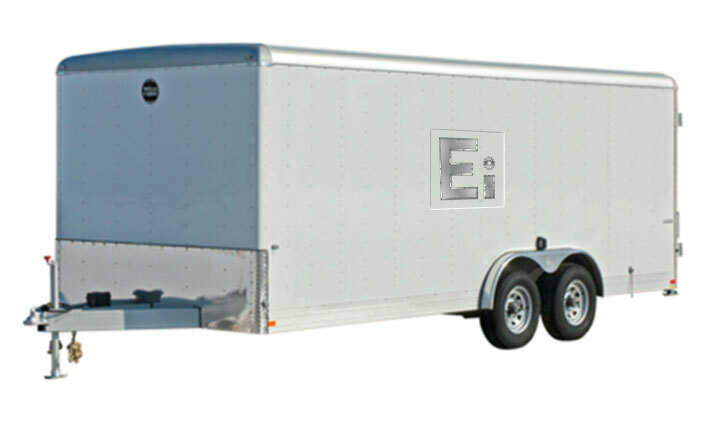 BOPX Trailer unit is a highly engineered, technologically advanced hydrostatic tester which is one of 3 various BOPX systems Engenuity Inc. offer including our truck and skidded systems. The BOPX Trailer System is a compact, portable, trailer mounted hydrostatic tester capable of safely preforming hydrostatic testing at test pressures up to 20,000 psi. This electrically powered system is configured to precisely control all facets of hydrostatic testing including the management of the test pressure and the measurement of the amount of intensification fluid required to obtain and maintain test pressure. The BOPX Trailer System is equipped with a robust portable data acquisition and remote operation system. It is complete in a protective Pelican Case with a Getac PC to provide operation and reporting interfaces, a wireless/cellular router to facilitate communication functionality and power management functions that are all efficiently packaged in an internal custom design ensuring safe and convenient transportation. A secondary Pelican Case is included to safely transport and store one primary pressure transducer, one spare pressure transducer, required rig cables for communications and power, and quick connections. With predefined safety parameters and algorithms the BOPX Trailer automates the hydrostatic test process and eliminates the risk of over pressurization. The BOPX Trailer Unit provides precise automated pressurization control mitigating the unpredictability of personnel and the manual pressurization process. This allows for a predictable, repetitive test process which reduces overall test times. Additionally the BOPX Trailer System features our patent pending EZ Press test method. The EZ Press test method can detect leaks as small as a few cc/min within the first 60 secs of the pressure hold cycle. This help to identify potential failing leaks well before the normal 5 to 10 min waiting period of typical pressure decay test. It saves time ensue saves money by increases productive time.